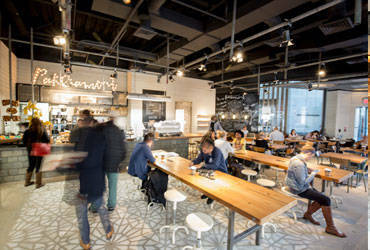 At Parliament, we strive to provide coffee lovers with a high-quality alternative to the mediocre coffee concepts that abound on every city corner. 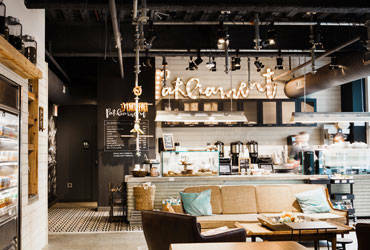 At Parliament, our goal is to be an urban oasis where talented baristas serve wonderful, thoughtfully sourced espresso drinks in a setting that beckons folks to come in and stay a while. 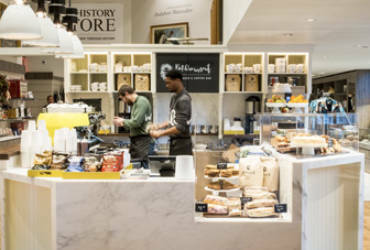 The Parliament culture is founded on authenticity and simplicity, and we operate on the premise that the perfect cup of coffee comes down to three things: superior beans, quality machines, and great people. 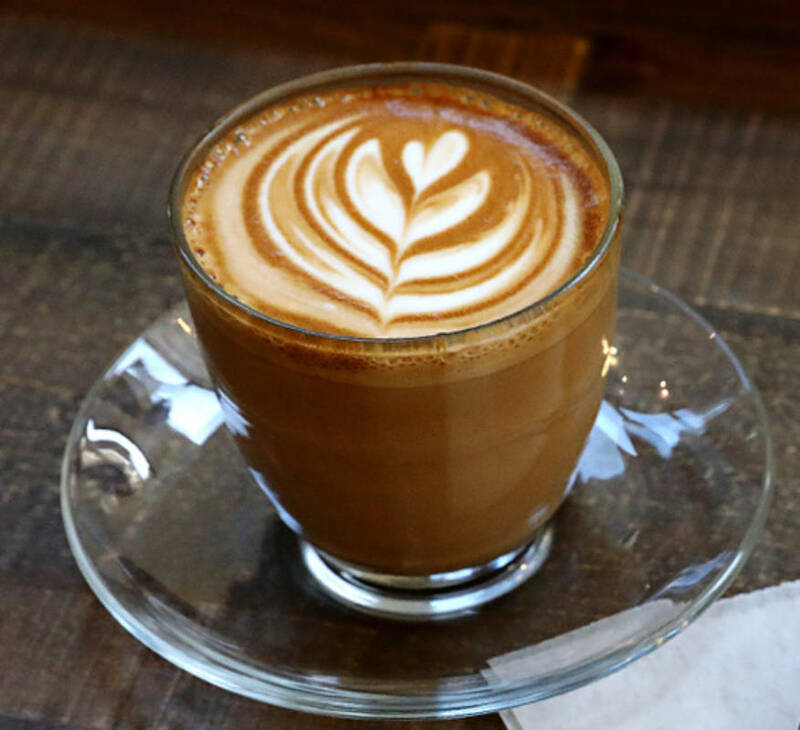 Great baristas embrace their responsibility to create the perfect cup of coffee. 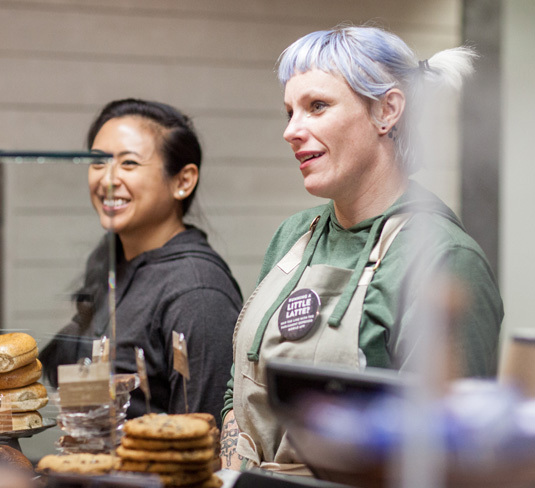 We cultivate a passionate group of well-trained, highly knowledgeable baristas who care about every detail that goes into making fantastic coffee — one cup at a time. In fact, you could say they don’t just love coffee; they live it. Believe it or not, our head barista Ken has been making coffee for 8 years, but drinking it for only 7. When he’s not making his signature brews — Kenyan SL-28s, SL-34s, or a mean coffee milk stout — he can be found teaching Kung Fu or hiking (he’s currently planning to scale the seven highest summits in the world!). 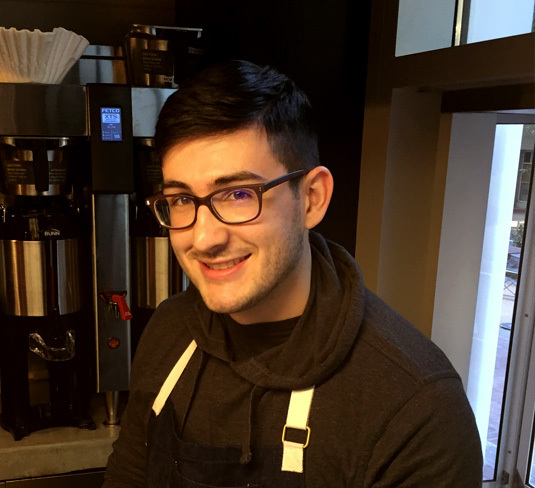 A certified barista, Ken is also a lead instructor and regional judge for both the SCA and BGA, and he’s currently coaching a friend competing in the USBC. 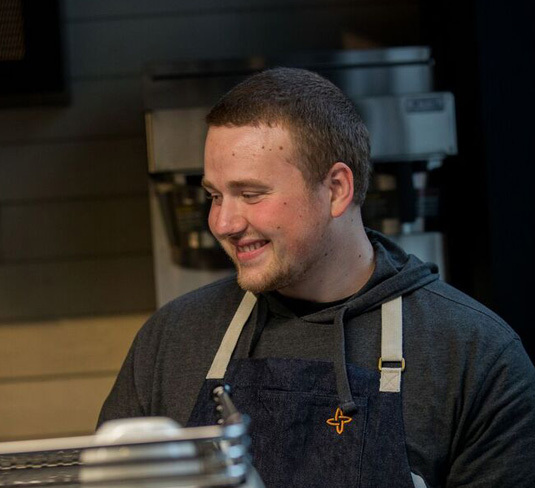 While making coffee and learning about customers is the best part of any day for him, his other passions include helping small businesses and jamming out to ‘90s R&B while slinging pro. Fun fact: At the age of 24, Ken ran for mayor of his hometown Haddonfield, New Jersey. Capri recently celebrated her 1-year barista-versary. Her favorite drink is hot chocolate, and her passions include singing and reading (in fact, she has enough books to fill a small library!). Tim, a barista for 1.5 years, has an affinity for single-origin pourovers. Not only is he a great dancer — he’s also an aspiring professional musician, singer, and songwriter. 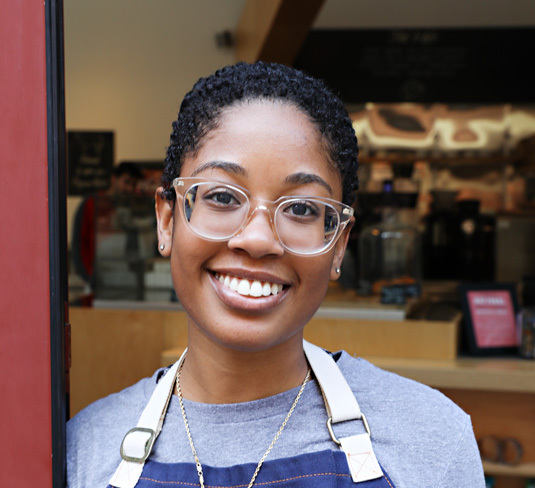 During her 3 years of working as a barista, Rachael has developed a deep love of macchiato. In her spare time, she works as a photographer for social justice groups in Philly. Fun fact: She once spent 2 weeks living in a tent in Tanzania while studying the social behavior of baboons. 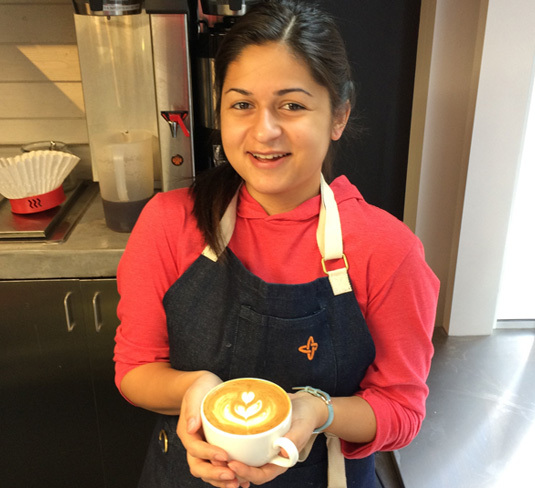 After 8 years honing her barista skills, Luna’s specialty has become the flat white. A performer that specializes in flow arts, she has also been fire spinning for 5 years. 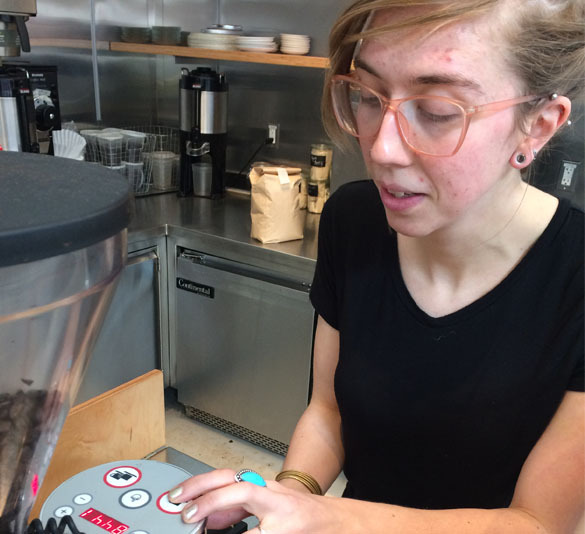 With 6 years under her barista belt, Liz has developed an affinity for a mean dirty chai. In her spare time, she sings in a FUNK band. Fun fact: She can also recite the Greek alphabet. 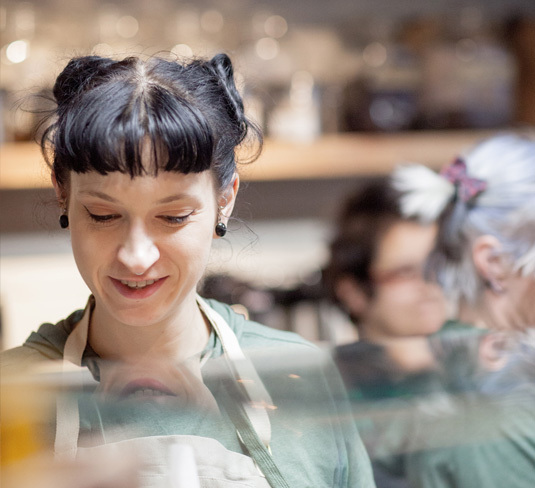 A barista since “the beginning of time,” Marisa studies and works at PAFA, and aspires to one day study art in Berlin. In the meantime, she is elevating the almond milk latte to an art form of its own. 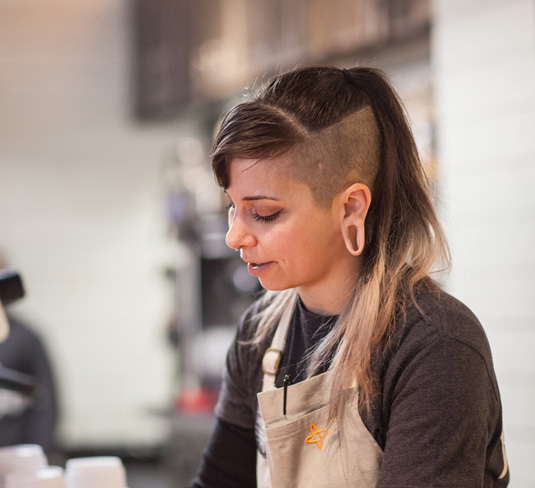 A lover of macchiatos, pourovers, and the NFL (she hopes to write for them one day), Marie has spent 4 years honing her mad barista skills. Fun fact for Parks and Recreation fans: Her spirit animal is April Ludgate. 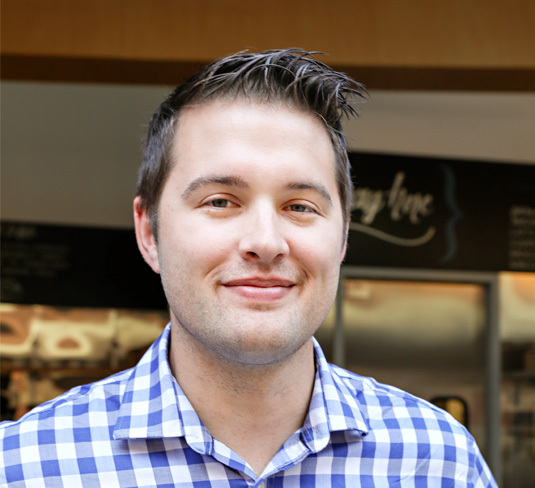 This 2-year barista veteran is also a grad student pursuing a master’s degree in history. 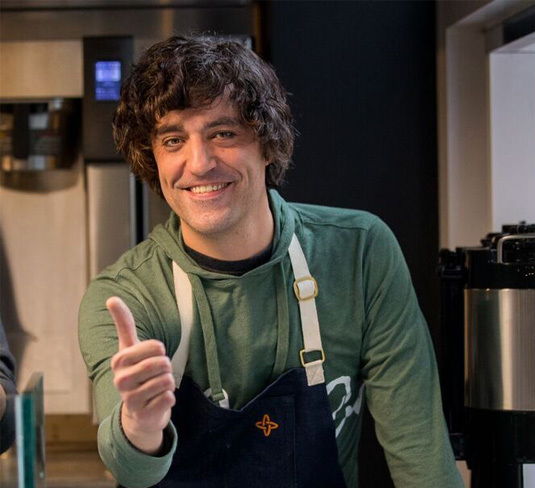 When Daniel is not pulling flat whites for his favorite customers or hitting the books, he can be found playing one of seven musical instruments! 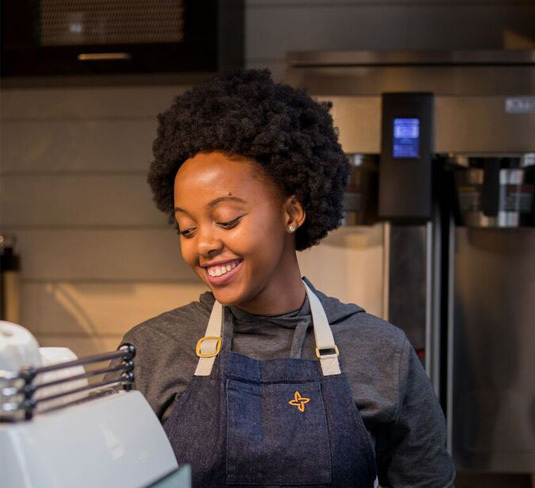 While she may be a relative “newbie” with only 6 months of barista experience, Elizabeth is no stranger to the world of java: She was raised on a Kenyan coffee and tea farm. She’s now partial to Kenyan SL28 and SL34 varietals — and can speak English, Swahili, and Gîkuyû. 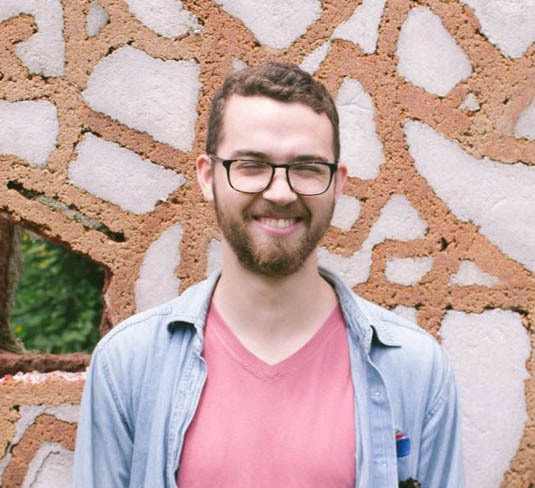 Andrew, who has grown quite fond of red eye espresso-coffee blends in his 8 years as a barista, also enjoys skating and playing the drums. In Kane’s 4 years behind the coffee counter, he has become an aficionado of the iced latte. In his free time, he studies massage therapy and makes electronic music. 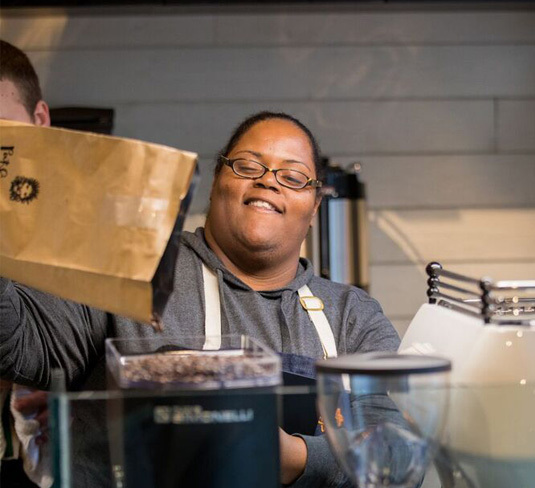 In her impressive 11-year barista run, Leathia has developed a strong attachment to iced caramel mochas (who can blame her?). Other fun facts: She also loves to sing and give hugs. 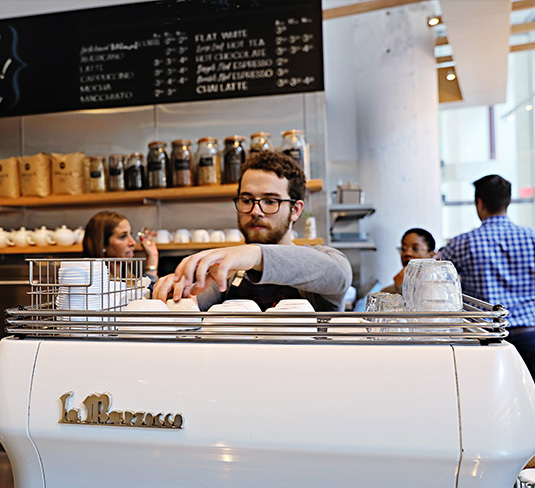 Based in Florence, Italy, La Marzocco provides us with direct access to the best espresso machines in the world. 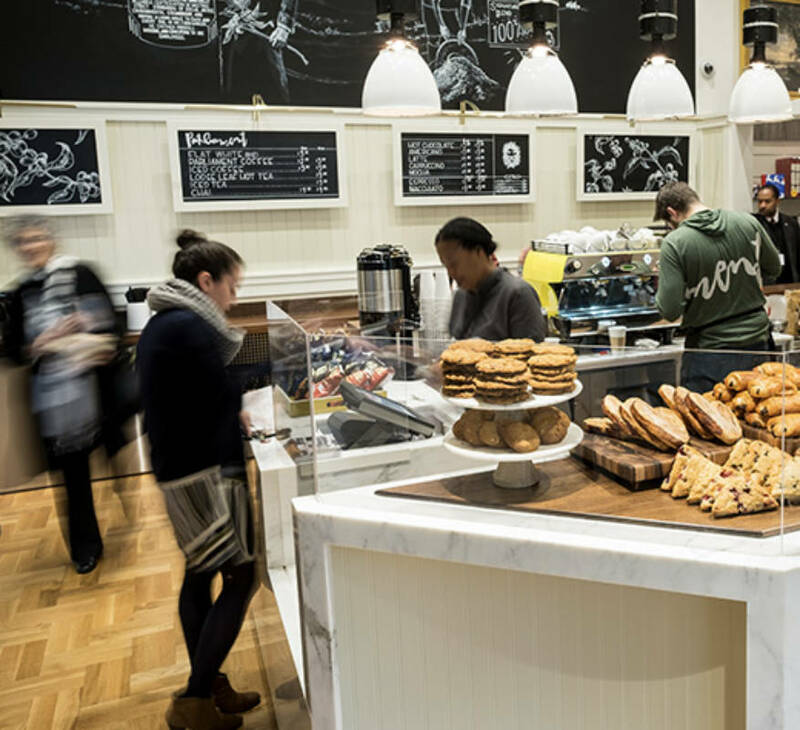 These high-end, handcrafted works of art consistently provide an unparalleled cup of espresso. Sourced from a family-run farm in Nicaragua. 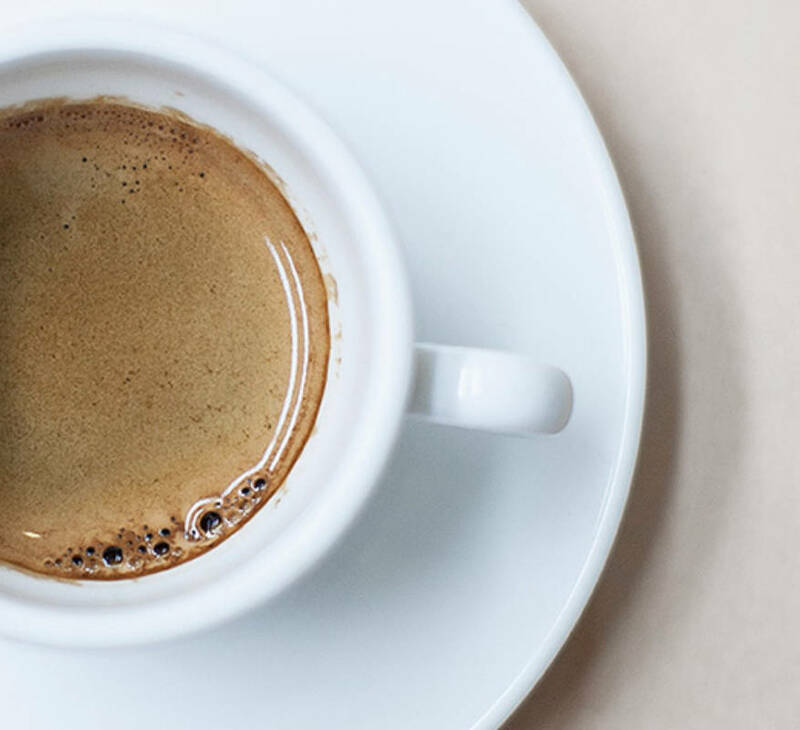 We’re committed to sourcing 100% Arabica beans through a direct trade relationship with La Virgen Coffee Estates in Nicaragua and a single coffee grower named Henry Hueck. 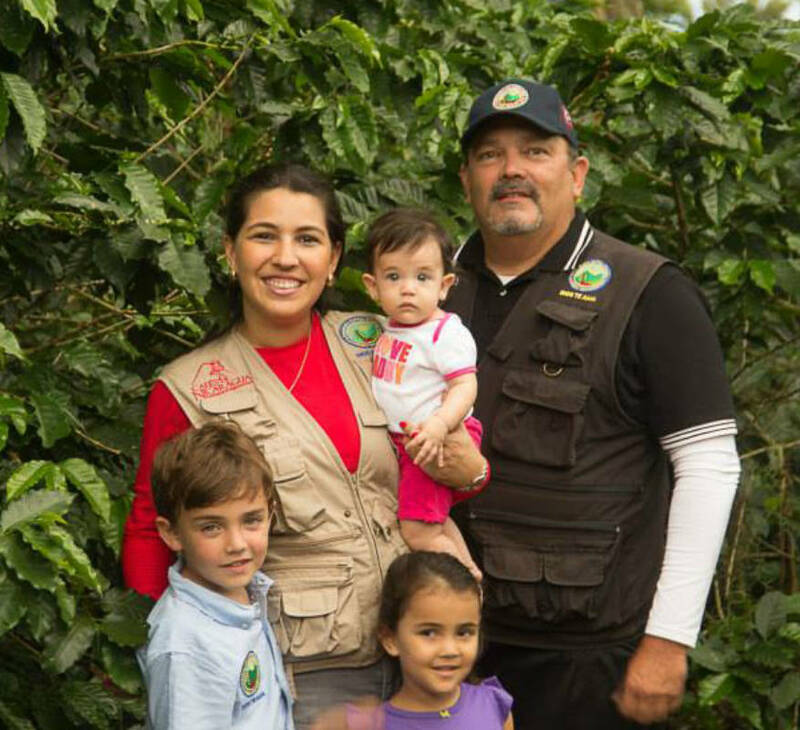 We stand firmly behind Henry, inspired by his dedication to creating a higher quality coffee — and a better quality of life in his community through improved education and healthcare. *Menus may vary by location and season. On top of coffee drinks, we also carry a variety of bottled offerings, including our fiber juices, and even wine and beer at some locations. Gonna be here a while? Grab one of our fresh sandwiches. Looking for a fresh way to get your energy up? Try one of our exceptional salads for a healthy boost! 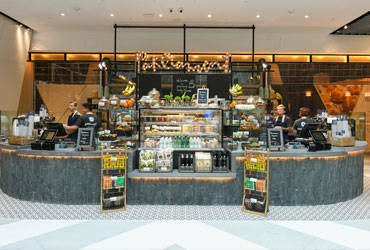 Parliament is a proud member of Constellation Culinary Group. Contact us for partnership opportunities for the perfect cup at your location.